A pinch here, a crack there. Do you know how much salt you are consuming? 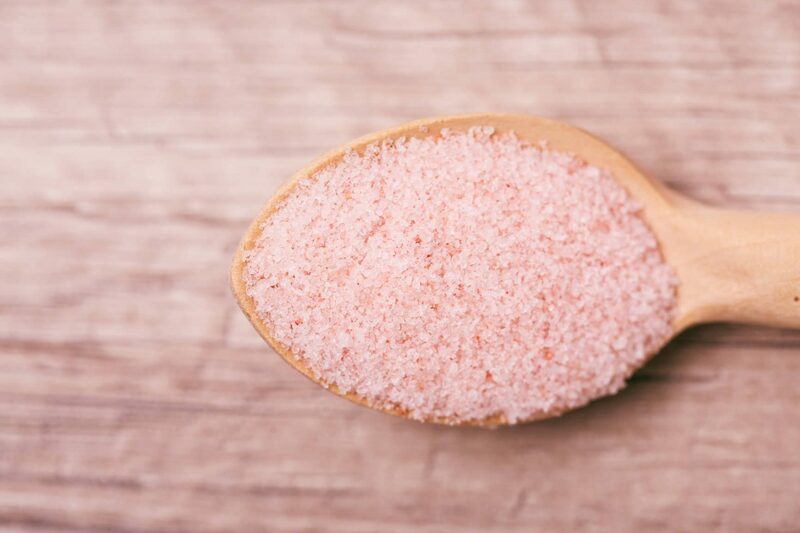 We’ve long used salt to add flavour to our meals and to preserve our food. But according to leading health bodies, Australians are eating too much. Read on to find out how much salt is too much, how it affects your health and tips for cutting back. The Australian National Health and Medical Research Council (NHMRC) recommends no more than one teaspoon (5g) of salt (sodium) per day, per adult. However, the modern Australian diet averages twice the recommended number, with many of us consuming up to 8g of salt per day. While this average is too high, our bodies still require some sodium to stay healthy. It’s important to understand how a salty diet affects your health and what you can do to strike the right balance. It’s all about your blood pressure. Our bodies need sodium, a compound found in salt, to help regulate and circulate blood and other fluids. However, eating too much salt is linked to high blood pressure, which can have a negative effect on our health. It’s a significant risk factor for a number of chronic conditions like heart disease and stroke. The Medibank Better Health Index showed in 2017, 15.3% of Australians had high blood pressure. And while many people think that high blood pressure only affects older people, it affects young Australians too. Of Australians aged 18-24, 41,000 had high blood pressure, and of those aged 25-34, 86,000 had high blood pressure. Where is the salt in my diet coming from? Bread: It may surprise you, but bread is a major contributor of hidden sodium. Some white breads contain roughly 0.76g - 15% of your daily maximum allowance - in just two slices. Look for bread with less than 400mg of sodium per 100g when shopping. Condiments: Store bought cooking sauces and condiments like soy sauce, salad dressings, dips, ketchup and salsa can all contain large amounts of salt. Look for ‘reduced salt’ options where available, for instance soy sauce. You can also try making your own sauces so you can control the amount of salt added. Processed meats: Products like sausages, salami and bacon all contain large amounts of salt, which help to preserve the meat. Just one rasher of bacon contains nearly a third of your recommended daily salt intake. If you’re looking for sandwich alternatives, chicken or turkey breast are better options. Cheese: Halloumi and feta, while widely enjoyed by many Australians are some of the saltiest cheeses found in the deli. If you’re looking to reduce your salt intake but can’t give up your cheese, why not try swiss cheeses? They have less salt than others, and you’ll still be able to get all the good protein, calcium and vitamins that cheese offers. Aside from monitoring the salt levels of pre-packaged items you place in your shopping trolley, there are other ways you can reduce salt in your diet. Commenting on how to manage your salt intake in the home, Heart Foundation Dietitian Sian Armstrong said: “There are lots of ways you can reduce your salt intake. One way is to be wary of packaged or processed foods that are high in salt, like ham, dips or pasta sauce, so read the nutrition label and choose a lower salt (sodium) alternative." For more information on salt and your health, visit Unpack the Salt – a joint initiative of VicHealth and the Heart Foundation.